… customers and word-of-mouth referrals travel from left to right along a bell curve that starts with Innovators and Early Adopters, peaks with the Early Majority and the Late Majority, and finally permeates with reaction from Laggards. If I read this right, the author is claiming that Digg and Twitter have about 16% market penetration. In a previous posting here, it was noted that Digg has 30 million monthly visitors, with 3 million of them registered users. Considering just the U.S. population (300 million), wouldn’t that put Digg between 1% and 10% penetration? That is, still far from moving out of the Early Adopter range? Nearly 20% of our pilot area subscribes to Front Porch Forum, including 33% of Burlington and better than 90% of our leading neighborhoods. That puts the bulk of our service in the Early Majority area, with our best neighborhoods pushing through the Late Majority and into the Laggards. Best bet for distributing neighborhood news? Thanks to eNeighbors for pointing to this new study by eMarketer about eMail… color me eGrateful. U.S. spending on e-mail advertising will grow to $2 billion by 2012 from $1.2 billion in 2007. JupiterResearch estimated that about one-quarter of e-mail delivered to users’ main inboxes is now opt-in. JupiterResearch asked why recipients stopped subscribing to opt-in e-mails. 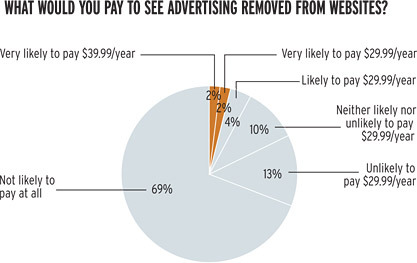 More than one-half said the content was no longer relevant, and 40% said they were getting too many offers. It is also getting harder for marketers to figure out which e-mail address to use. Nearly two-thirds of US Internet users have three or more active e-mail addresses, according to a November 2006 Bluestreak-commissioned study conducted by ROI Research. “E-mail, compared with other forms of interactive communication tools, is not only ubiquitous but also addictive,” Mr. Hallerman said. According to a November 2006 ROI Research report commissioned by Bluestreak, 90% of US Internet users used e-mail several times a day. No other communication tool comes close. Web Traffic Stats… who’s to say? Interesting article in the New York Times by Louise Story today about how varied website traffic stats are… depends on who’s counting and how.